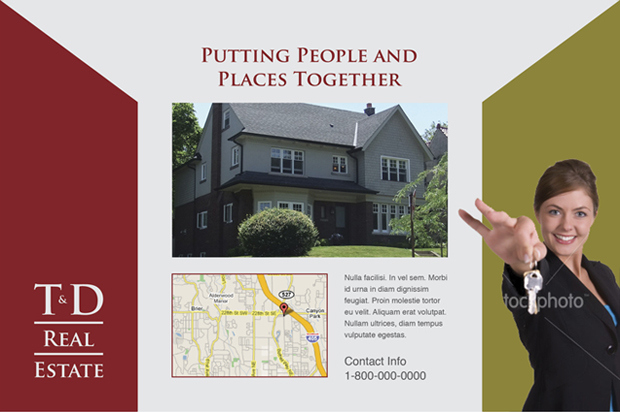 – Experience and ability to meet needs of clients. 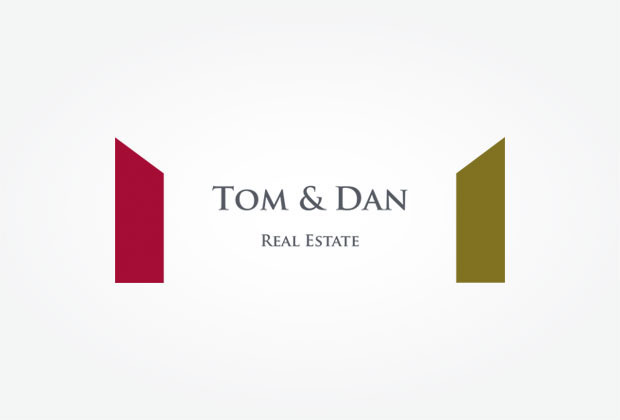 – Tom & Dan is the best choice to handle my real estate needs. 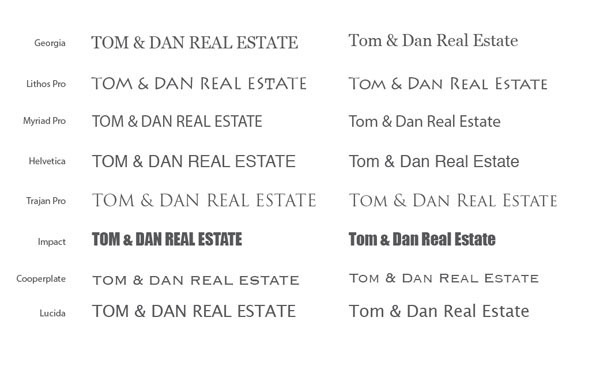 – We need to call Tom & Dan. 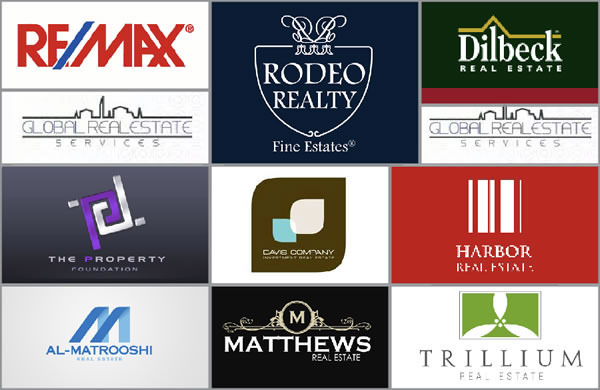 When we search real estate logos we see most companies use houses or buildings in their logos, even they include a detailed draw of these structures, the result of this is an icon without identity. Since my idea is to create a concept that stands up from other companies, I have tried to stay away from that kind of standard logos, here we have good samples of nice logos using graphic elements to comnunicate the message in a smart way. 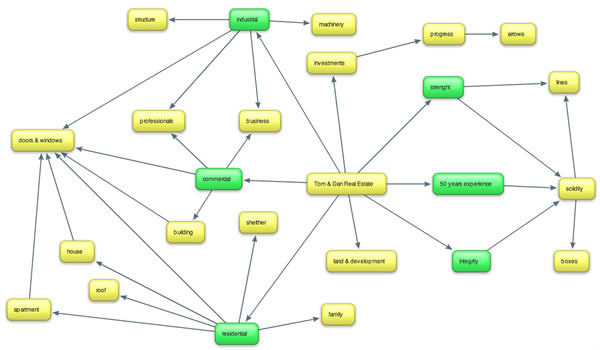 This mind-map was created with the aim to extract useful information from my logo design questionnaire, which was filled by the client, this is a useful tool to drive the creative process in the right direction. 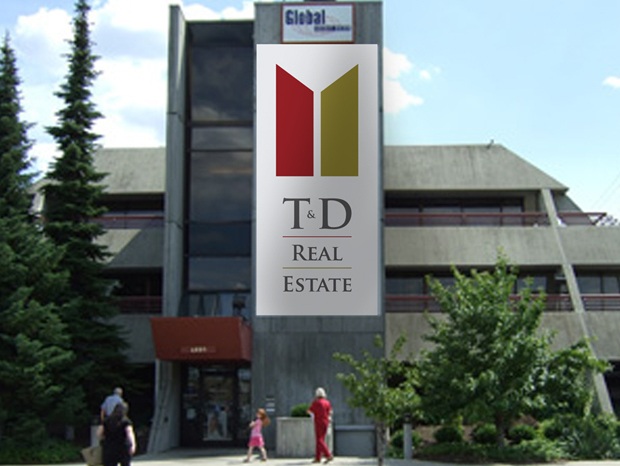 Since T&D tagline is â€œPutting people and places togetherâ€ it could be great to create a connection between the tagline and the logo. We can start with a simple question: How can T&D connect me with my dreamed place? I understand the Real Estate is a complex industry, but what is the first step before buy or rent a place? 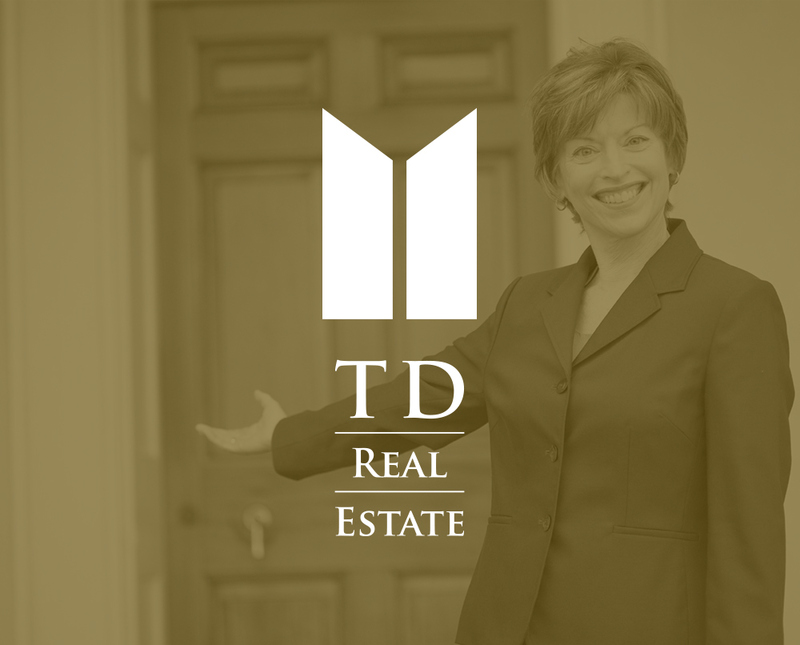 People want to visit the place, get inside, explore it, get the DOORS WIDE OPEN… and here is when T&D becomes an important part in the process, T&D will get the doors open for me to make everything easy. At the same time if we go back to the brainstorming we can see that the DOOR is one of the common elements in some of the areas of real state: residential, commercial and industrial, besides an OPEN DOOR is a symbol for new opportunities and progress, which is perfect representation for investments and development areas. 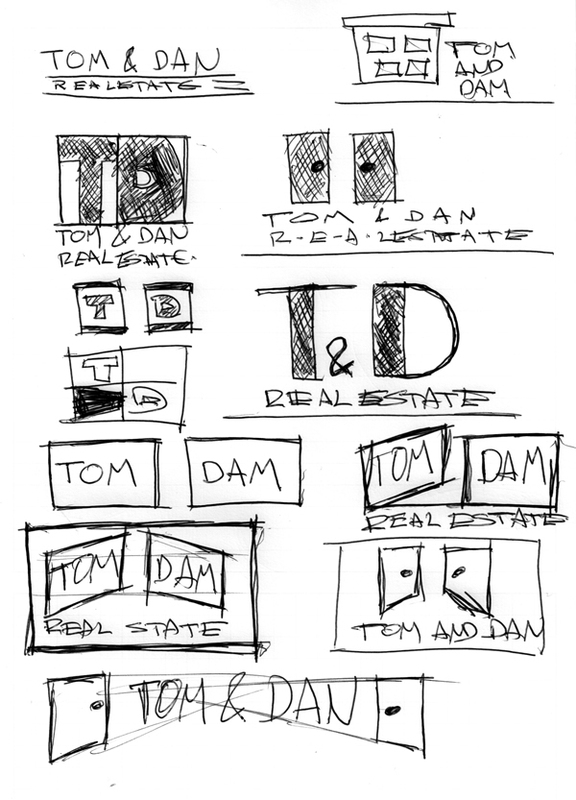 Here we have some random sketches that I have created to experiment possible shapes and forms to represent T&D. DOORS WIDE OPEN. 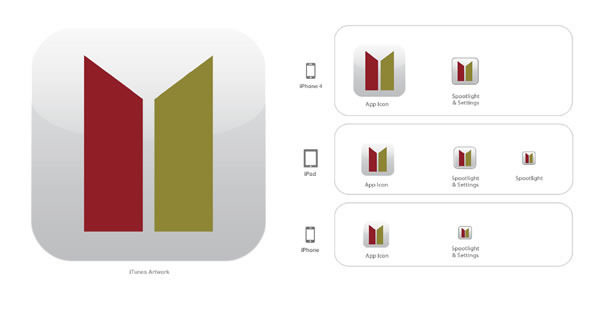 I won’t draw couple doors to represent the company, that could be an easy task. 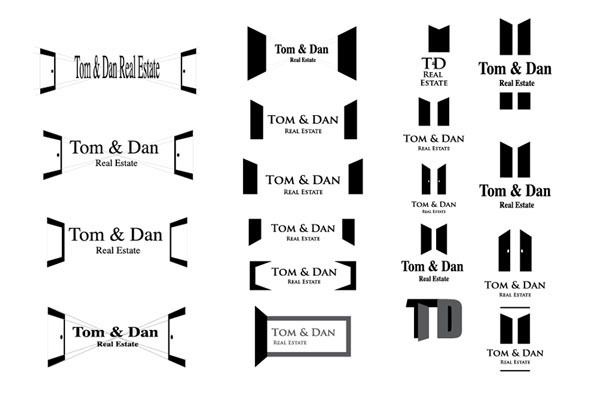 My idea is to use the concept as a starting point, from there I will create the visual elements necessary to show T&D as a solid Real Estate Company. Here we have some ideas created in the computer, not color yet, basically I’m trying to explore different shapes inspired in the OPEN DOORS concept. I have tested the company name using different type faces, definitely the Trajan Pro font is the perfect one to merge in the logo, it is nice, classic and elegant. After some retouch this is my proposal, it is simple and unique. I have represent couple OPEN DOORS, the concept was designed based on a vanishing point grid, The company name and business are in the middle using the same grid, which helps us to add depth to the concept and at the same time the angles on the top are driving the eye to get the attention on the company name. 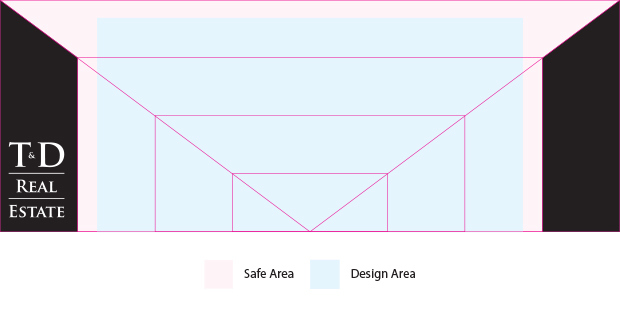 This elements will be a powerful symbol to merge on the T&D branding too, the client could use the central area to create stationery, promotional material, flyers, billboards, etc.